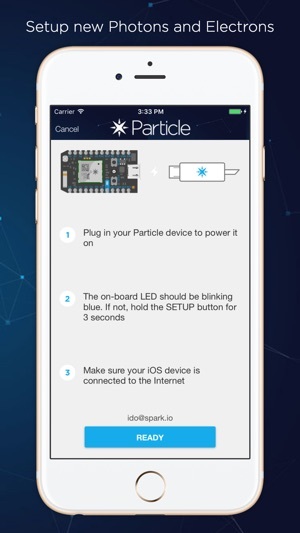 Get started with your IoT project with Particle's iPhone app. 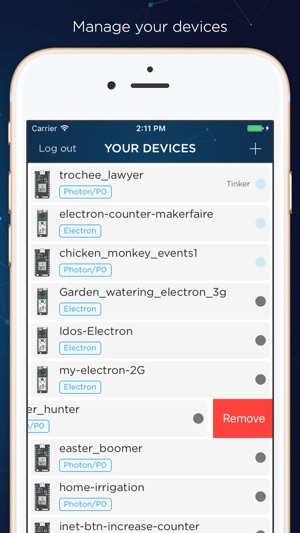 Easily connect your Particle devices to the Device Cloud. 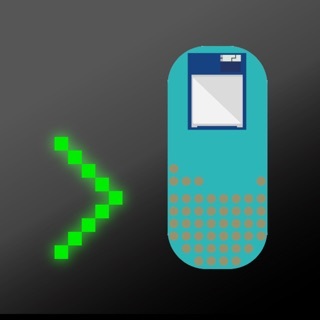 The app will take you through a simple setup process step by step until the LED on your device is breathing cyan - indicating it's connected to the Device Cloud and ready to be programmed! 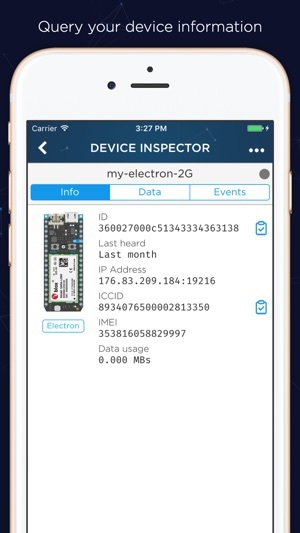 Beyond setup, you can use our Tinker and Device Inspector features to interact with and debug your devices. Tinker mode is a quick start sandbox that will help you get your prototype or project up and running in minutes. 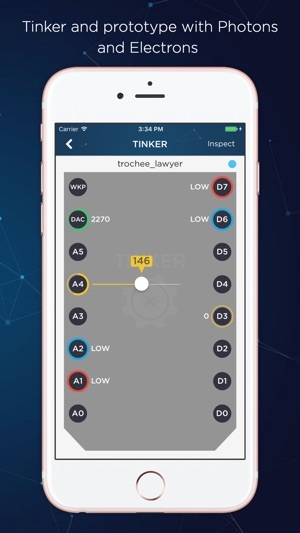 Tinker exposes basic pin functions through our API, allowing you to read sensor data and blink LEDs by just tapping a pin name on screen -not a single line of code needed. 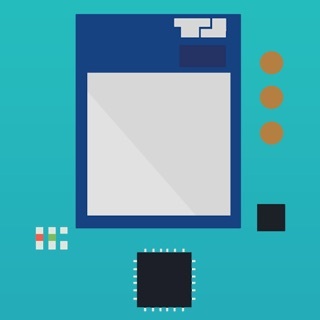 It provides an intuitive environment for tinkering and prototyping even if your device is the first piece of programmable hardware you've ever picked up! 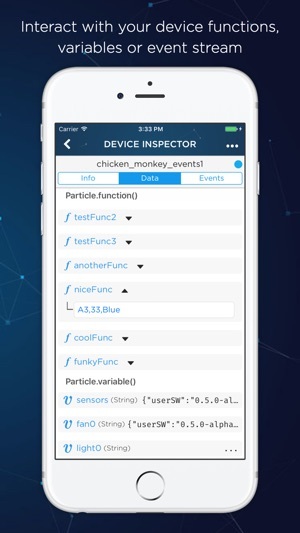 Device Inspector allows you to dive deeper into your devices for advanced on-the-go debugging: Get detailed device information ,read variables, call functions, and see your device event stream. This release adds more graceful handling of edge cases while scanning the Data Matrix, like garbled data or unknown device types. Super terrible, why do we need this? This app is brutally bad. I’ve setup numerous photons in my student lab and frequently it just doesn’t work and nothing you can do will make it connect. There’s no diagnostics readily apparent. You’ll be quick to get a fail message but have no idea why. I suppose it wouldn’t really matter if they did give you a reason as no tools exist to correct it. There’s basically no desktop support either. If you want to configure this you’ll be getting into terminal and hombrew. I setup about a dozen of these per semester and one or two simply won’t connect to the app. I can’t for the life of me figure out why I keep buying these things. 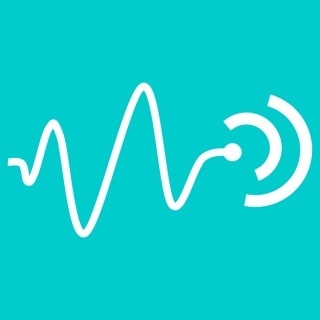 Useful for quick checkup of online devices or for setting up a new device. I wish it has some options for saving latest published messages or for creating a custom interfaces using cloud functions. 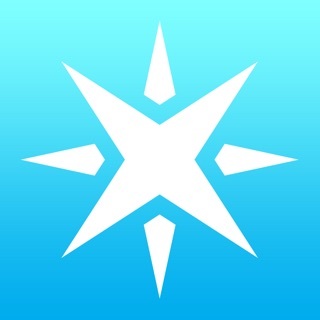 Looking forward for more features from Particle’s awesome team. Don’t buy the Mesh edition yet. Don’t buy the Mesh edition yet. They “push” these devices after struggling with production and seems they did not do the appropriated testing. 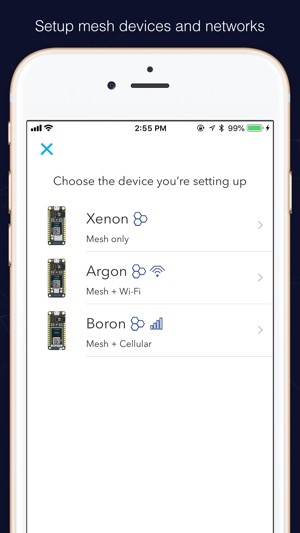 There are many problems when creating the mesh network and the apps fails miserably during the mesh setup. Only works fine for the Photon version.